Over the last two posts, I’ve covered what the SQLPS provider is and how you can get started with it. Now it’s time for other side of the story. If you’ve started working with the provider or done some reading on the web, various hurdles have probably popped up. These hurdles can frustrate and discourage you, so let’s discuss them before that happens. What can we do? Unfortunately, there are no magic workarounds to implement. This limitation is why you will see a lot of Powershell/SQL development either use the SMO directly or implement .Net code that avoids this completely. The challenge here is that these approaches can be too advanced for administrators who are not used to code development. My recommendation is to be patient with it. The provider is your entry point and is your starting point. As you get more comfortable with Powershell, you will find SMO and other .Net methods will perform better for you. Begin with understanding the language. Another challenge with the provider is that sometimes it will behave in a fashion that doesn’t quite make sense. As with the speed, we’re tied to how the SQL Server team at Microsoft implemented the provider. It is, after all, an API and this means we can only use the it as it was written. What I struggle with is that there there are elements of the provider that weren’t thought all the way through and occasionally they catch me by surprise. One example of this is an interesting piece of behavior I discovered recently with a several online colleagues (Paul Timmerman, Chris Sommer, Derik Hammer, and Johan Bijnens). Basically, we found that there was no real way to refresh a Central Management Server listing within an existing Powershell session. Once a CMS registry was populated in your provider session, you were stuck with it. If you made changes to your CMS in SSMS, you wouldn’t see those changes propagated until you opened a new Powershell session. While frustrating, it’s not a show stopper. The challenge, however, is that there are other little land mines like this in the provider and they pop up when you least expect it. This particular issue is not really a problem because you can always save a script and re-open your host. However, it should behave a little more consistently and at least give the user the opportunity to execute a manual refresh of the cached object. 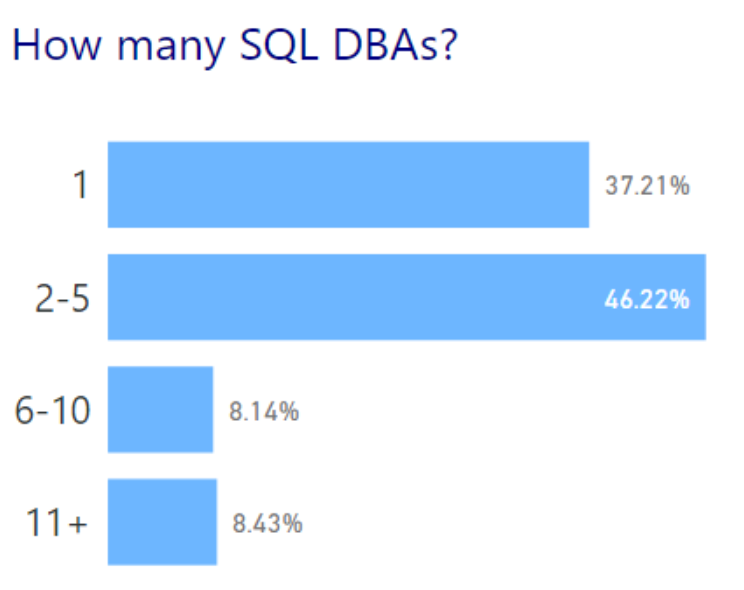 I’m hoping that the SQL Server team will be able to address this in future versions of SQL Server. Speaking of things that behave not as you would expect, I want to cover the notorious mini-shell. 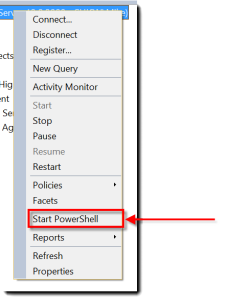 If you have ever right clicked in Management Studio Object Explorer, you’ve probably seen a Start Powershell option. The intent of this option is to open up a command window with the SQL provider already loaded. This shell also duplicates what SQL Server does if you ever run a Powershell script within a SQL Server Agent job step. What catches people by surprise is how it behaves. In SQL Server 2012 or prior, the host machine will load using Powershell version 1.0 or 2.0, no matter what version you have installed on the host machine. This can be annoying because modules won’t be automatically loaded and some cmdlets aren’t available to you. This was fixed in SQL 2014, so whatever version is installed on the host machine will be used. While this can present a hurdle for developing scripts to be used in the SQL Agent, it will not block you completely. You can always double check this by starting the Powershell task in Management Studio and interrogating the $PSVersionTable system variable. Beyond that, I haven’t had much reason to use the mini-shell for any Powershell tasks and prefer to work in the ISE or the standard Powershell command window host. The SQLPS provider is klunky. 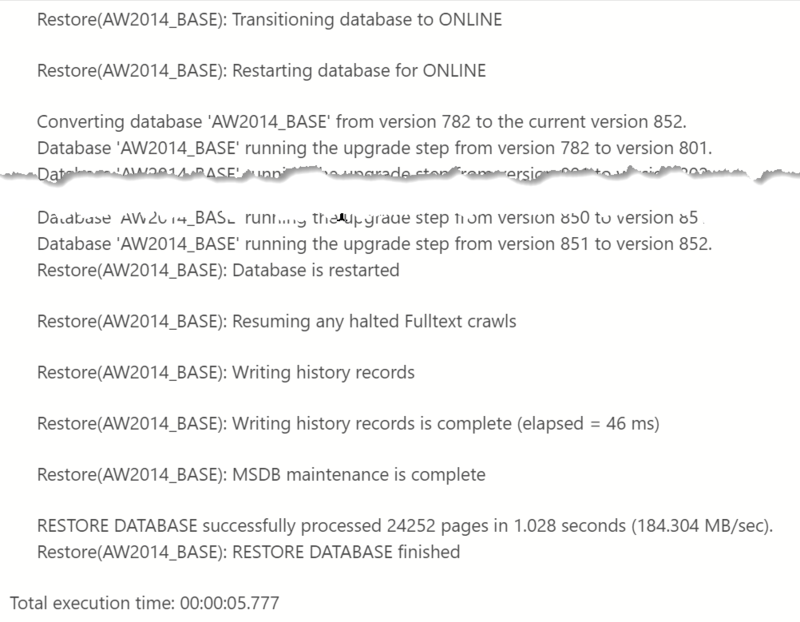 It suffers from a little neglect by the SQL Server team and some slapdash coding to implement it. In light of some of the Powershell tools provided for Windows Server, Exchange, and Active Directory, it’s pretty frustrating to see the SQLPS provider languish the way it has. I have some theories around that and I hope that someday I can talk with the product team to see what changes can be made. However, it should be noted that if you’re just getting started with Powershell, the SQLPS provider is still the best place to start. If you’ve read my other posts, you know by now there has been an effort to make the provider an intuitive path for building automation around SQL Server. Don’t let the hurdles stop you,. The provider will let you get far enough on its own and help you develop patterns that you can later improve and enhance. Please feel free to leave any comments below on your experience with the provider and other questions you may have regarding it. In the previous post, I gave an overview of what the SQLPS provider is and how it works. Now I want to pull back the curtains a bit and demonstrate how you can navigate the provider and use it effectively for managing your SQL Server instances. For those new to Powershell, this can be an effective way to start using the language without a lot of “overhead” for learning syntax and methods. This pattern is used throughout the provider, offering a consistent structure for our objects. The next thing to notice is that the list of items under our instance is pretty standard and looks very much like what we would find under the object browser in SQL Server Management Studio. The provider is merely an abstraction for all the usual parts of SQL Server that we’re used to seeing. Note the use of the -force flag. If you leave the -force flag off, the provider will only return user databases. Including this flag will display all databases, including the system databases. While listing objects (and you can list logins, agent jobs, and other parts of your instance in much the same way) is effective, what else can we do? The key to the next step is recalling that objects within the provider are all SMO database objects. All of these objects will have attendant properties and methods. We can leverage the properties to accomplish some pretty standard tasks. With these few lines, I can quickly change the owner of all my databases. How cool is that? Now, one note about permissions. Any actions you execute through the provider will use your current security context. Typically, DBAs will have enough permissions to perform these tasks, but if the account you connect to does not have rights for a task, it will fail. There are so many more examples of what we could use the provider for. Simply using directory lookups can provide a lot of flexibility, but there’s more we can do leveraging the methods and properties of the Provider objects. From this point, it can get very advanced and complex. Focus on the fact that SQLPS provider is a starting point, a place where can quickly get in and manage SQL Server with Powershell. Next up is some of the warts of the SQLPS provider. A lot of folks who have been using the provider have run in to some challenges. In a lot of ways, how the SQLPS provider works is a little clumsy. This doesn’t mean you shouldn’t use it, but I do want to cover some of the frustrations so that you are aware of them and they don’t prevent you from effectively using this aspect of Powershell. 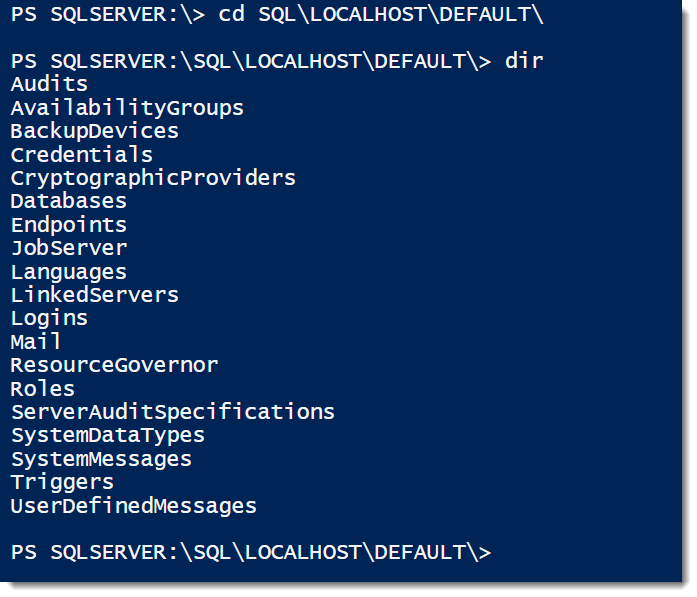 One of the key entry points for using Powershell and SQL Server is the SQLPS provider. If you’ve been reading my blog for any length of time, you’ve seen me make use of the provider for one task or another. It’s an incredibly useful tool and can help you manage some basic tasks in SQL Server without a lot of additional coding on your part. The struggle that I see is there’s a lot of confusion about what the provider is and how it works. There are also challenges and gotchas around what the SQLPS provider does that frustrate both new and long time users of Powershell. I hope to provide some clarity over the next few posts as I review the basics of the SQLPS provider, how I’ve used it, and how to work around some of these challenges. 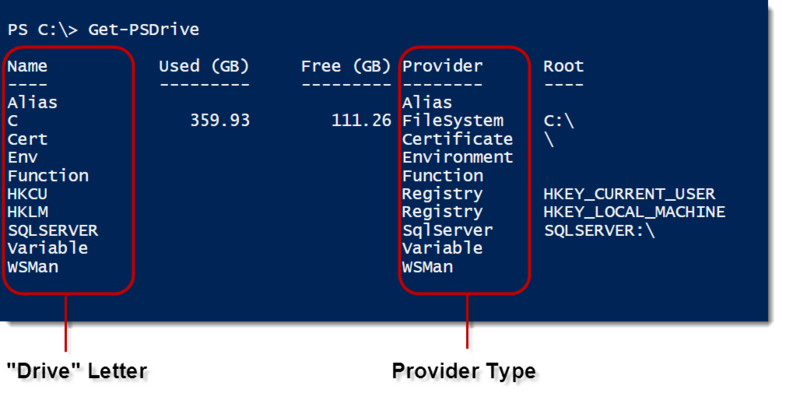 The idea of providers is a foundational concept in Powershell. They are fully documented over on MSDN, or directly in Powershell by using ‘Get-Help about_Providers’. Let me give you a starting point, though: the general idea is that providers extend different parts of the stack as file system paths in your shell. They give users an intuitive method to browse components like the registry, environment variables, and SQL Server as if they were directory structures. Note that I’ve called out the important bits here. You can consider the Name column the drive letter for each provider. The different types of providers are listed on the right. Understand that the drives we are used to seeing (C:\, E:\, etc.) are FileSystem providers and essentially equivalent to other providers, like environment variables. The trick is that the behavior of each provider is different once you start working within them, but accessing them works the same. Already you can see how handy this is, as it gives us a much easier way to view the PATH variable than that tiny little GUI box under Environment Variables. Let’s talk specifically about the provider for SQL Server. 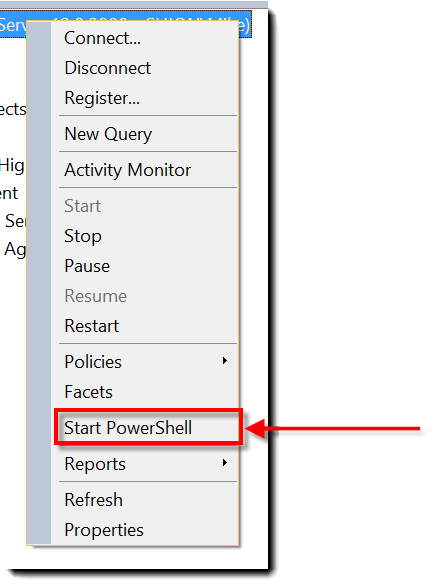 The provider is not part of Powershell by default and you have to load it. Doing this is straightforward, you just need to import the SQLPS module that is installed whenever you installed the SQL Server 2012+ client tools. When you execute this command, you’ll get a warning about cmdlet names. You can safely ignore this, the provider has loaded and I’ll cover this message in a later post. A gotcha here is that if your client tools are previous to SQL 2012, you’ll need to load a snap-in. This is an obsolete method, so I strongly recommend you upgrade your client tools to SQL 2012 or better. Notice that the typename is a Microsoft.SqlServer.Management.Smo.Database object. This shows us that the SQLPS provider is built on that long standing SQL Server Management Objects .Net library. I call this out because if you browse the interwebz for examples of using Powershell and SQL Server, you’ll see a mix of code. Some folks will use the provider structure, others will instantiate .Net SMO objects. What you should understand is that these approaches use the same fundamental building blocks. The difference is that if you use the provider, you have some additional abstractions that SQLPS provides you (which means less code), whereas creating the SMO objects forgo them (translating to more code, but more control). Providers give you a lot of flexibility within your shell experience. The intuitive nature of them allow for an easy entry into using Powershell, whether you have a coding background or not. This folds quite well into the initial intent of Powershell, which is to provide a useful scripting experience for administrators who do not have development experience. In my next post, I will cover specifics for using the SQL Server Powershell provider. We will review the fundamentals and how these can be leveraged for common administrative tasks. If you have specific questions about the provider and how it can be used, I encourage you to leave these questions in the comments section so that I can answer them in a later post. If you prefer, you can also email your questions to ‘mike at this blog domain’. Hopefully you’ve seen over the last two posts some basic techniques for automating and codifying your SQL Server builds. There’s just two more items I want to cover here, questions you’re probably asking yourself already. After this, we should consider deploying maintenance jobs, restoring databases, or building out things like availability groups. While I don’t cover these here, keep in mind these tasks can be scripted out as well. I encourage you to consider how you could do this. For example, if you leverage either Ola Hallengren’s scripts or the new Minion Reindex from the Midnight DBAs(@MidnightDBA), you have another piece you can automate. The key is that you have a repeatable process. At Xero we have all our maintenance jobs as part of our administrative database deployment. This is handled through SQL Server Data Tools and .dacpacs. We achieve consistency and deployment speed by managing that solution and deploying the administrative database project. By maintaining the database in source control we manage our tool set, keeping it standardized. When we add or update it, we can apply the changes out to our environment. This also means when we build a new server, we have a standardized way to install our admin tools with a minimum of muss and fuss. Automation is more about consistency than speed, but speed is a nice side benefit. By assembling these components into a single script, we have a repeatable build process for any SQL Server in our environment. Our instances will be built the same way, every time, so long as we aren’t changing our script. The bonus is, since it’s all scripted, there’s no fumbling with wizards, dialog boxes, and making sure we type in the right values, so it all just happens. And in a matter of minutes. At Xero, I can take a server from nothing to ready for databases in about 20 minutes using these techniques. Now, we could go pretty crazy with how we build our automation script. In fact, there’s some pretty cool tools out there that will help you with this. I’ll let you do that on your own. Just make sure that, before you do, you know all the steps you have to build your SQL Server. It’s fine and dandy to be able to script out things, but without a plan or process to automate first, most of the scripts you could write won’t do you much good because you can’t use them again. P.S. HUGE thanks out to Melody Zacharias(@SQLMelody) for helping me with this series of posts. When last we left our heroes, we were discussing how best to go about building SQL Servers quickly and consistently using Powershell. The thing is, we hadn’t quite gotten to the Powershell part yet and only really covered the build process plus installing SQL Server. Let’s change that and move on to the next steps. 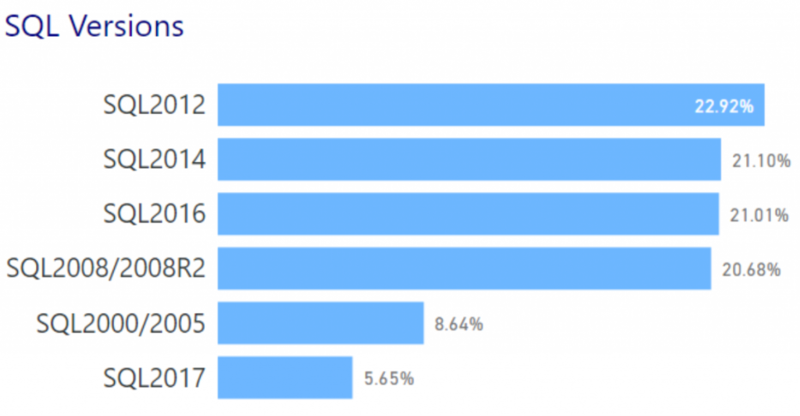 This assumes that our sysadmins have built the box with those LUNs. There are, of course, ways to script that out as well, but we’ll skip over that for the sake of brevity. As a quick aside, you might want to consider working with your sysadmins to actually set this permission in your domain Group Policy. Means you’ll get it without having to configure it yourself. Now with the OS configured, it’s time to configure our SQL Server. For this, we’re going to leverage our friend and pal, the .Net SMO. As with many things in the SMO, the beauty of it is that we get a consistent API to interface with our SQL Server. For our purposes, we want to look at the Configurations collection of the Microsoft.SqlServer.Management.Smo.Server object. In here we can find everything you’d find in the sys.configurations view through T-SQL. Now let’s configure our max and min memory, max degree of parallelsim, and optimize for ad hoc queries. Simple enough, right? You can get pretty fancy and add all sorts of logic to calculate these values, giving you a flexible setup script. You could just as easily write these as a T-SQL script for a series of sp_configure executions to set your values. I’ve done it and know plenty of people who do. There are two reasons I’m moving away from this. The first is that some of my configurations, such the default database directories, need some specialized techniques (usually involving xp_regedit or something similar) to implement in T-SQL. I don’t like that approach because the extended stored procedures are usually unsupported and can have lots of issues. Powershell is much more graceful and (the second reason), using it across the board gives me a common interface for my configuration management. This builds the core of our server, but there’s a couple more odds and ends to discuss. We’ll wrap up tomorrow with a few things, like how to handle maintenance jobs and other administrative tools. We’ll also talk a little bit about the “why” of all of this. Stay tuned for the thrilling conclusion! @Mike_Fal @IrishSQL @SQLEspresso You have a script that will fix a server after I physically beat it with a bat? That’s impressive!! Amusingly enough, I kind of do. It’s not quite the way you would think, though. Lately I’ve had a different attitude about “fixing” things in my environments, because sometimes it takes waaaaaaay more time to try and repair stuff than to just build it from scratch. Especially if you are scripting out your processes and automating your builds. This is what I would say to John; if he walked in to my data center and abused my poor server with a wooden implement, I’d simply build a new one. Before we get much further here, let’s talk about the fine print. Everything I’m going to talk about doesn’t get around backups, DBCC checks, or other processes we need to address as DBAs. We’re not talking about the data here, simply the server that hosts it all. It’s still vital that you do your due diligence to protect your data. So let’s talk about building our SQL Servers. Firstly, you should always have a defined build process for your environments even if you haven’t had a chance to automate or script it. Checklists and runbooks are the starting points for consistency in any IT shop and if you don’t have them, make them. I’m not going to give you a comprehensive script at this time, but instead show you how so you can use the same tricks in your environment. The reason for this is that everyone builds their servers a little differently, but if you define and script your process, you can have your servers built and configured in 15-20 minutes. This step is actually the easiest and has been around for a while, but I want to add a few twists to it. I always install SQL Server using a configuration.ini file. By using this approach, you can install your SQL Servers the same way, every time. You’ll find plenty of articles on the Googles on how to do this, so I won’t dive into it, but I want to address the matter of passwords. The problem with using the .ini file is most folks (and this includes me) will put the passwords in plaintext in the file. This has numerous bad security implications. Depending on how accessible this file is, you could be giving away your service account and sa passwords and not even know it. This gets my install complete and, honestly, is the longest part of the process. There are ways to cheat around that, but I’ll save that for another post. When I first started writing this, I figured it would be a quick post. Suddenly I found I was at 5 pages and going. So we’re going to break it up to make it a little more manageable. Tune in tomorrow when we cover configuring the OS and SQL Server itself. One of the commonly referenced blogs out there is Kimberly Tripp’s(@KimberlyLTripp) seminal post on Virtual Log Files. If you haven’t read it yet, I highly recommend it. It provides a good description of one of those quirks with your log files and how you should manage it. Of course, while folks are familiar with this, it’s often not a practice that gets followed. Why? Because it’s hard to manage. Usually it’s just easier to set the autogrowth settings and let the log find its own size. This is where I hope I can help you out. Just like anything we do, if we need to execute it more than once it should be script. As such, I figured I’d share a T-SQL script I’ve put together for growing my log files out in 8GB chunks. I’ve used this quite a bit when managing my own systems for when I either need to expand a log file or I need to resize it after an accidental blowout. This is a fairly handy script and pretty easy to follow. I set the database name and limit, then let the loop keep adding 8000 MB chunks until I get to the size I want. No strange black voodoo magic, right? That part is next. You’ll note that it’s about the same number of lines, does more or less the same thing. For those of you familiar with the SMO, you’ll also know that at behind the scenes all it’s doing is running T-SQL. So why write it this way? First, it’s an interesting challenge just to help understand Powershell and how to write it. It’s these kind of challenges that help me learn and expand my knowledge. The second, though, is to explore the differences between the methods. We know in the IT field, you can solve a problem in any number of ways. While I love Powershell, I wouldn’t use it everywhere. The only way to know where to draw the line, though, is to experiment and solve the same problem in different ways.